The first book I read by Peter May was Black House, the beginning of his Lewis trilogy, and I fell in love with Lewis and Harris Island of the Outer Hebrides in Scotland. I even have Peter's photography book, The Hebrides, narrated by Peter and photography by David Wilson, that goes with this trilogy. The picture that Peter paints in his novels of this wild, windy land where rain pummels its residents often and thoroughly, but where the sun can shine at the next moment, making the water sparkle and the skies a brilliant blue, is a picture of beauty and hardship. And yet, there is something magical about this locale, whose inhabitants are fiercely loyal to it and often return to it after trying to live elsewhere. 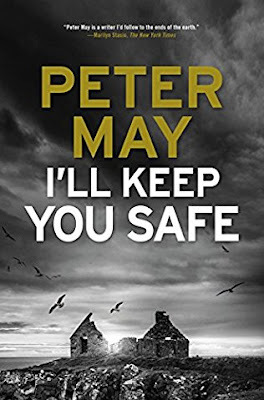 Now, Peter May has returned to the Outer Hebrides in his most recent novel, I'll Keep You Safe, and I couldn't be more pleased to make a return visit. Niamh and Ruairidh McFarlane have transformed the small, select Ranish Tweed weaving business into a hugely successful business on their home island of Lewis and Harris, after buying the small weaving business from its aging creator. Being at the Premiere Vision Fabric Fair in Paris twice a year has become an integral part of doing business with the buyers of their tweed. But, Niamh senses something is bothering Ruairidh, and she suspects that he is having an affair with a Paris fashion designer named Irina. When the car that Niamh sees Ruairidh and Irina drive off together in explodes at a stoplight, she is devastated to lose the love of her life, and with the uncertainty of faithfulness, she finds herself in a very dark place. Nothing makes sense, and she can't imagine who would want to kill her husband. The French police rule out terrorism, and Lieutenant Sylvie Braque is assigned to pursuing the leads and evidence in a case that has now become labeled a murder. Niamh finds that even she herself is a suspect, but she is allowed to take her husband's remains home to Harris to bury. Niamh and Ruairidh grew up together in the town of Balanish, with a population of a few hundred, so everyone knows everyone else and their business, and the whole island has its communication system of quickly spreading news. The tragedies and successes of its people are mourned and celebrated in unity. So, the death of Ruairidh and the circumstances surrounding it are already known by people when Niamh and Ruairidh's brother Donald arrive back home with the remains. The unity of support for Niamh's loss is complicated in her own family though, as her parents and older brother hated Ruairidh, and Ruairidh's parents have never been warm towards Niamh. Dealing with all of them should be enough, but Lt. Sylvie Braque has been sent to the island to attend the funeral and interview suspects, including Niamh. Niamh must try to put the pieces together about her husband's murder, too, for her own peace of mind, and later, for her own safety. Is the murderer someone they knew well personally or a business acquaintance with a grudge? There's lots of backstory revealing possible suspects. The answer is arrived at in an atmosphere of island storms, isolation, and darkness. A perfect set-up for murder solving. As always, Peter May creates a setting that is second to none. 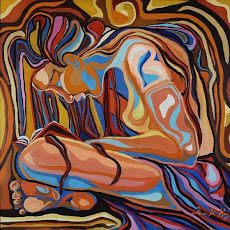 It is a setting that will command your attention and envelope you in its nooks and crannies. There are quite a few characters, but all are easy to keep track of and enrich the story. I admit to being a wee bit dissatisfied with a couple of items. I feel there might have been a rather gratuitous kill in the story, and I'm still trying to decide how I feel about who the murderer was. 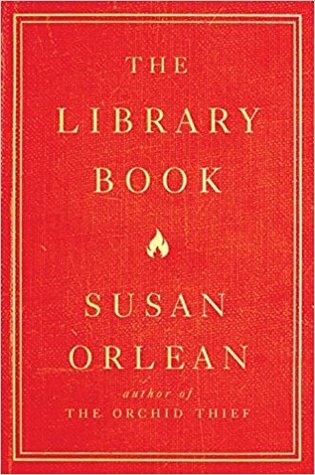 However, it was a great read, and I highly recommend it. Another for my TBR!! :) Great review! Thanks so much, Erica! I love Peter May's books. His Lewis Trilogy was where I started reading him, and I still love those books.